Phillip Keveren: Bio & Choral Music | Santa Barbara Music Publishing, Inc.
Mr. Keveren is a prolific arranger, orchestrator and producer. His work is featured in numerous instrumental recordings, church choral, educational piano and Christian artist releases. 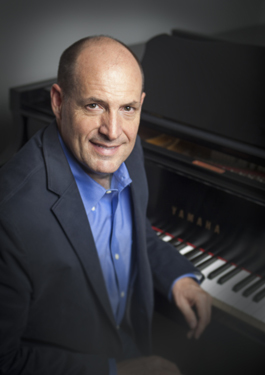 Phillip is co-author, major composer and orchestrator of the internationally acclaimed Hal Leonard Student Piano Library, a complete method of study for young students. His unique piano arrangements are also featured in The Phillip Keveren Series (Hal Leonard Publishing). Mr. Keveren holds a Bachelor of Music in Composition from California State University, Northridge, and a Master of Music in Composition from the University of Southern California. He and his wife Lisa live in Brentwood, Tennessee and are parents of two grown children, Lindsay and Sean. Phillip Keveren has 1 titles published with Santa Barbara.